Why can't I start Excel spreadsheet from a VB program, any program?! You are 100% sure that Excel is installed on your PC, but when you try to start it from any application, such as WinDaq Add-on Excel Link, it doesn't work, it complains "Excel is not accessible!". 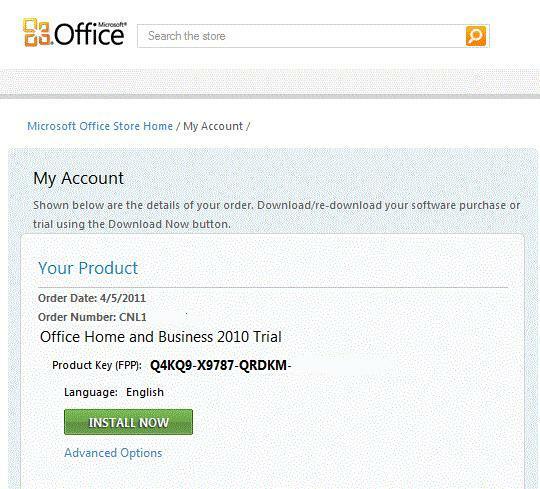 You ordered Excel, or Office online, this includes trial version, and try to download it. The C-T-R version cannot be automated by external applications. You should install the full version. 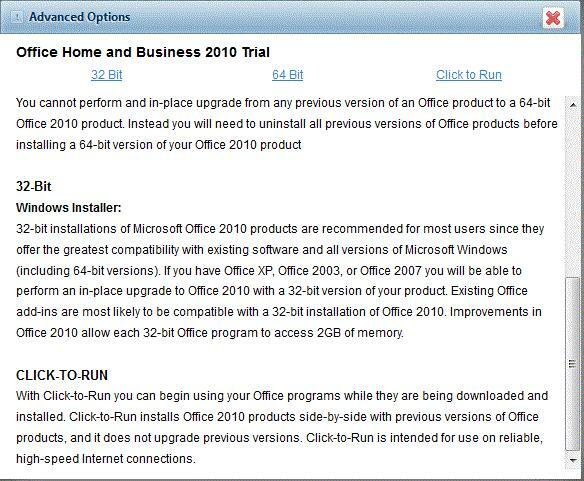 If you have downloaded the Office 2010 Home and Business or the Office 2010 Home and Student version from Office online then they default to C-T-R installs for download but you can choose to download the full version instead. Choose Advanced options from the above page, and pick either 32 Bit or 64 Bit version based on your preference and everything will be working as smooth as silk!